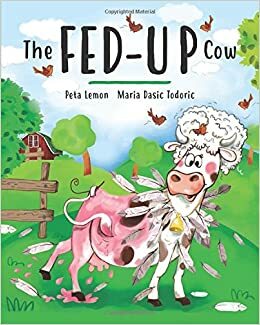 “The Fed-Up Cow” by Peta Lemon and illustrated by Maria Dasic Todoric is a children’s book about a very quirky cow called Hilda who decides that she’s tired of being a cow. With no fear of self-expression and a flair for ingenious costuming, Hilda experiments with living as a range of other farm animals with outrageous results. This is a fun book that gently explores the idea of identity while introducing kids to the different characteristics of typical farm animals. With fun rhymes and Hilda’s funny facial expressions, this is an enjoyable story. The illustrations, while a little inconsistent, are very engaging and Hilda is brought to life as a lovable goofball. It’s always nice to see female characters being able to experiment and be silly. It’s interesting looking at a book about a farm from the perspective of an adult Australian. Firstly, farms don’t look like that here, partly because this is a dry country full of drought and partly because farms don’t really operate on such small scales any more. 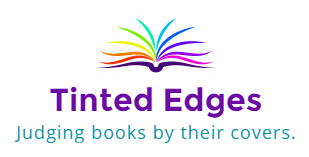 With more and more kids growing up in the city, but more and more environmental (and ethical) issues affecting farms, I wonder if we’re going to see a change in flavour of farm books in future. A fun children’s book with a refreshing twist on the classic farmyard story.